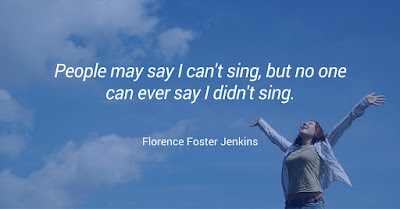 A few nights ago I went to see the movie about Florence Foster Jenkins. I was inspired by how she carried through on achieving what she set out to do. 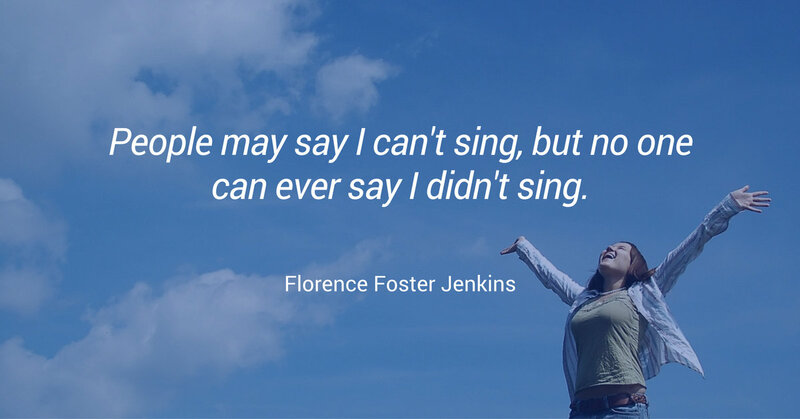 Another thing remarkable about Ms. Jenkins was her ability to ignore what was going on around her while achieving her goals. I am not so sure she was as oblivious to others' reactions - to her singing or what was happening in her personal life - as the movie shows. Maybe she chose to ignore those things in her focus to create what she wanted? Projects can be like that. Lots of distractions, things we could pay attention to that can lead us off our goal. I'm not saying we should always ignore distractions, but we should be aware of what is a distraction and what really needs our attention. At a business meeting I was in recently, a senior manager asked the facilitator if he should follow his instincts to make a decision, even if people didn’t agree with him. I thought, "Isn't that brave?" He wasn't afraid to ask a question about his leadership style in front of colleagues. A quality to be admired.